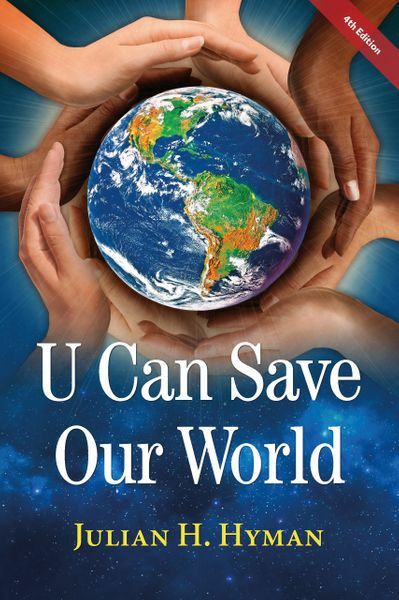 Julian Hyman, 98, wrote 'U Can Save Our World,' in hopes of inspiring others. This kind of soul-searching query, however, is slightly less typical in your average 95-year-old, the age Hyman was three years ago when he first posed this question. But then again, Hyman is not your typical nonagenarian. 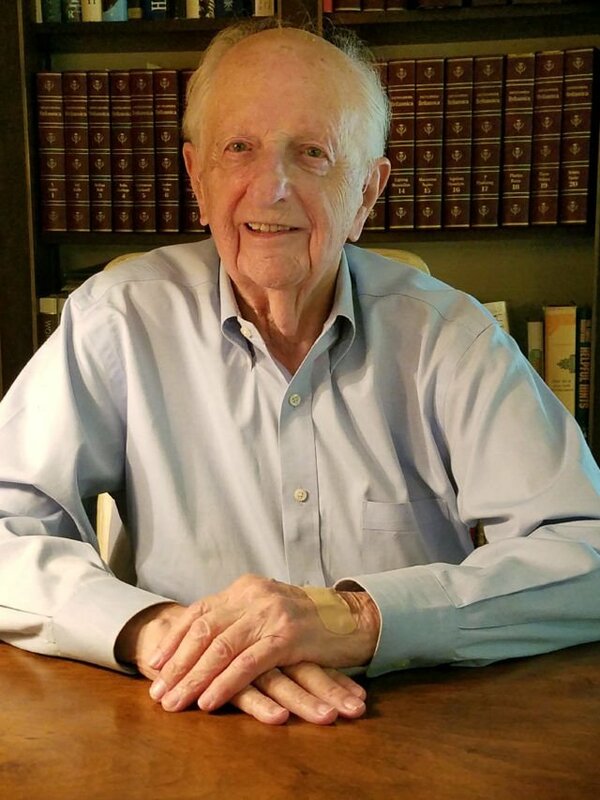 Urged to retire at age 70, Hyman instead purchased a new company with his son and wife and worked another 25 years, reporting to the office five days a week until age 95. Even then, he resisted the push to retire. He didn’t want to play golf, he told his wife of 67 years, Pauline. Hyman said his lifetime of travel gave him a unique perspective of the world’s problems and possible solutions. “I traveled around the world for 38 years,” Hyman said. “Every year I’d take off for a month and a half, buy an around-the-world ticket and visit innumerable countries. The world’s biggest problems, Hyman contended, are the same around the globe, and include overpopulation, hunger, environmental degradation and poverty. He said his book contains “the procedures” humankind can use to stave off the world’s destruction. He hopes readers can use the book as a jumping-off point to a serious conversation about the future. Hyman was first introduced to this higher authority at the synagogue where his parents counted themselves among the congregation’s first members. His family still attends, and one of his grandchildren attended school there. Hyman was born in 1920 in his family home on Lake Drive in Baltimore. The family moved to the Forest Park neighborhood, then Ashburton, where Hyman attended Baltimore City College High School. He then left for Philadelphia to attend the Wharton School at the University of Pennsylvania. After college, Hyman enlisted in the Air Force during World War II, when he served in New Guinea and the Philippines. His experience in the war, he said, seeded his concerns about the future. “The military weapons were getting so deadly that if they were used again we would wipe the world out,” he remembered. Hyman met his wife after the war at a country club dance. He had come to the dance with another date, but a friend insisted on fixing him up. Hyman, not wishing to be impolite to his date, agreed to one dance with the young lady. He found Pauline, who was raised sailing and fishing, to be a bit of a tomboy. (“She’s a Boy Scout,” he told his friend.) Nevertheless, he agreed to a proper date with her. They married in 1952 and had a daughter, Elisa, and a son, Steve. The Hymans now have three grandchildren. The technological advances that concerned Hyman in World War II might now be able to help him spread his ideas for tikkun olam. Hyman hopes to get 1 million likes on his Facebook page by the time he reaches 100, and has a ticker counting down to his 100th birthday on his website. He’s also created a video in which the World War II veteran apologizes for the problems he feels his generation has passed on to the younger generations. As he enters his 98th year, Hyman is hopeful about mankind’s ability to adapt to and respond to problems.